Atherosclerosis of artery. 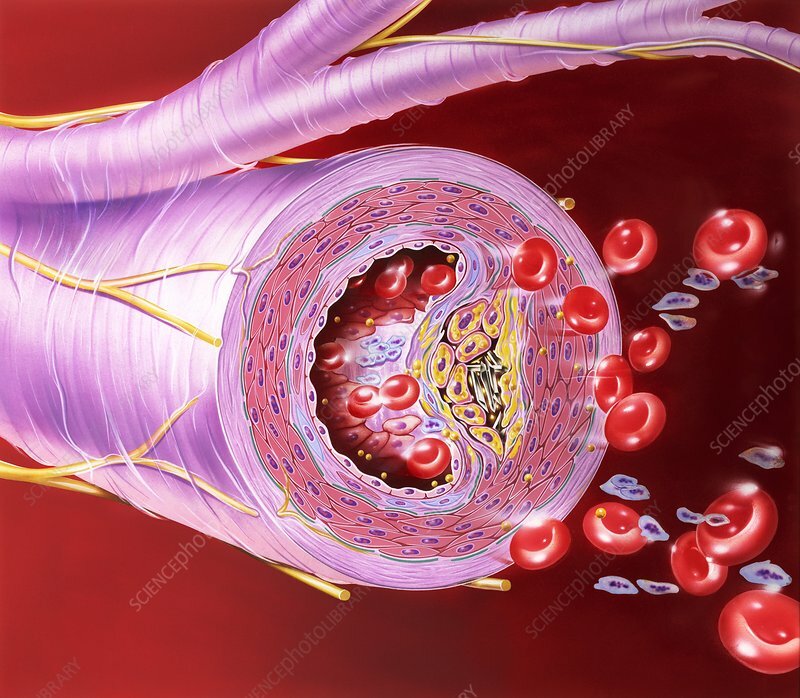 Artwork of a cross-section through an artery that has become narrowed due to atherosclerosis. A raised yellow plaque is seen in the wall of the artery. This plaque (atheroma) is made of lipids (yellow) and decaying muscle cells encasing crystals of calcium (white). At right are red blood cells, yellow lipid particles and white blood cells (pink). Atheroma plaques are found in people who have a high concentration of cholesterol in their bloodstream. Narrowing of the arteries increases the risk of blood clots forming, and is associated with coronary heart disease and stroke.